Offered in partnership with the CIBERs at Brigham Young University, George Washington University, and the University of Washington, as well as Community Colleges for International Development (CCID) and the National Association for Community College Entrepreneurship (NACCE), the International Business Institute on the Road workshops offer an abbreviated version of the flagship International Business Institute for Community College Faculty (IBI) that was offered biennially in East Lansing from 1995-2015. The aim of the IBI is to provide participants with the knowledge, experience and resources they need to internationalize general business courses and/or develop specialized international business courses at the two-year college level. Since 1995, the biennial conference has given participants the opportunity to explore new ways of incorporating international components to their curricula as well as network with peers from across the nation. These workshops cover all aspects of internationalizing business education at community colleges. Workshops are offered four times per year in different parts of the country and are typically hosted by CCID member institutions, but are open to all faculty in the region. I will be meeting with my faculty next week as we get ready to start the fall semester. I will be showing them the resources that we talked about during the week and asking each of them to incorporate international concepts into their classes. I will be asking them to share with me what they have done and how easy it was so that we can share them across the division. 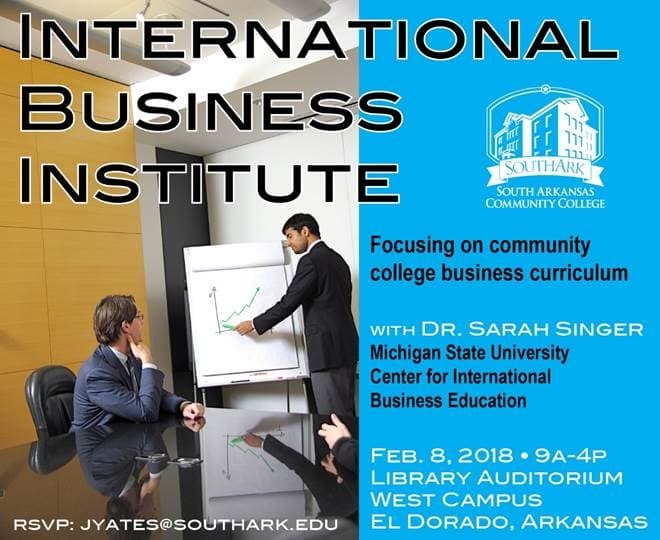 I am in awe at MSU’s commitment in promoting international business within community colleges. A lot of thought and work went into the presentations, and workshops at the IB Institute making it a great experience for us who were attending. I would definitely highly recommend the IB Institute to my colleagues.